The TJ Series illuminated tactile switch is IP67 process sealed in surface mount, right angle, surface mount right angle, or through-hole termination options. Bi-color LED choices for this illuminated switch are red, yellow, green, pure green, blue, white and orange with many color combination of the same. The TJ series offers semi-transparent, transparent, and opaque caps in over ten colors ranging from clear to misty silver for laser etching. 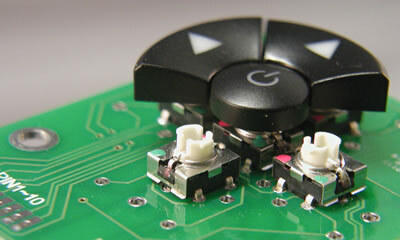 Five different cap styles including a support ring allow the TJ series to configure into a navigation switch grouping. Discover the DPDT and SPST N O momentary switch options today!